In this episode of Indie-Ana Co-Op, we are gaming with the developers at Hopoo Games, the creative team behind Risk of Rain. This is a rather unique game that blends elements from a few different genres: action platformers, rogue-likes, and science fiction. Paul Morse, the lead game designer at Hopoo Games, talks about how the game came together in the first place, how they decided upon many of the game's core elements, and how those elements work in co-op play. I can say from personal experience, the gameplay here is truly unique and utterly addictive. It's one of those games that I sit down to play just "one quick playthrough," and after I die 10 - 15 minutes in, I decide, "well, maybe just one more..." Two hours later, I come out of the trance and get back to that work I was supposed to be doing. If you'd like to check out more of the game in action, tune in this Sunday (9/22/2013) evening to watch the Co-Opticrew try to make it out alive! 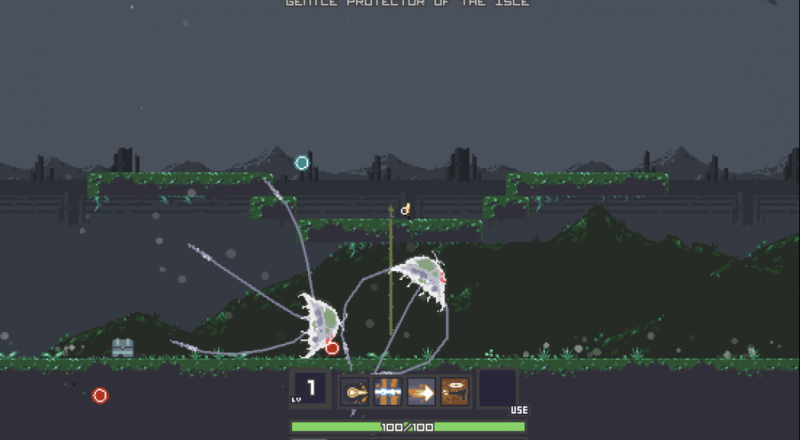 Risk of Rain is slated for release later this fall on PC and Steam. You can pre-order and get access to the beta for just $25 from the game's official site.